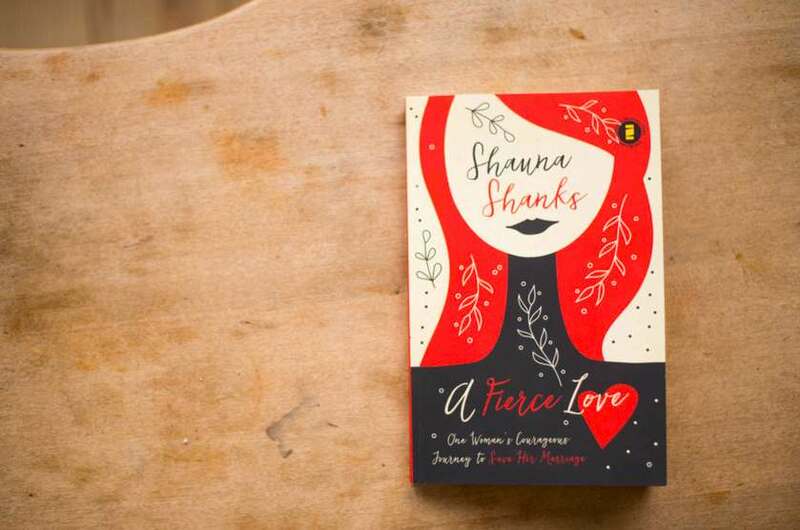 The breakdown of a marriage is a hard place to be in, and there's no one who knows this better than author Shauna Shanks. A month before Shauna's 10-year wedding anniversary, her husband dropped a bomb: he wanted a divorce. Instead of immediately giving up and agreeing, Shauna chose to continue loving her husband and fought for their marriage. 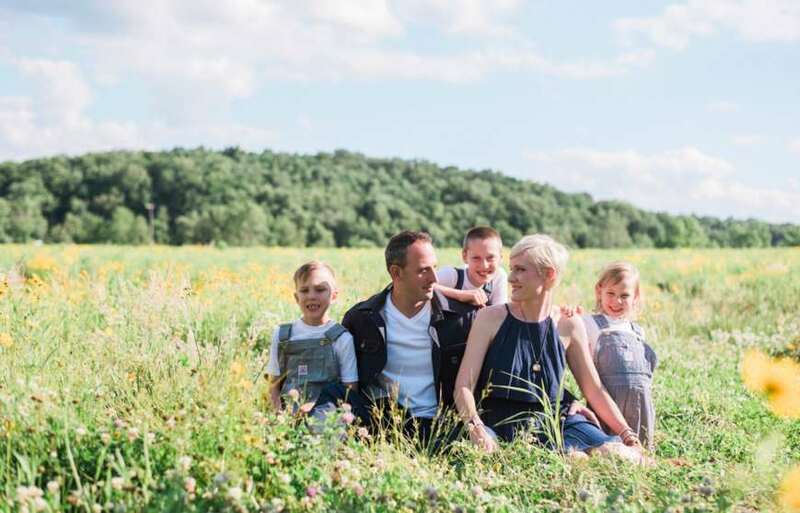 She shares the tears, emotional exhaustion and spiritual struggles that went into rebuilding her marriage in her book, A Fierce Love, and here, she tells us a few of the things she learned in the process. If you're in the midst of marriage problems, there's hope! Below are Shauna's 5 steps to finding peace. Thanks, Shauna! 1. I know who I am. I know that someone else’s actions do not define me. Nor does someone else’s actions determine my reactions. I know that someone else’s beauty does not diminish my own. I am strong, confident, and calm because I know who I am in Christ. One man’s rejection of me, does not mean I am rejected. God himself approved me, so I am approved. God loves me, so I am loved. He is the ultimate fulfiller of hearts, so I am fulfilled. I am whole. I am not undone. No man can disrupt the identity I know is mine, that I learned in God’s presence. Because I know him, I know who I am. 2. I know what I am. I am a daughter of the Most High King. Cue the choir, I know. But just because this sounds like a southern Baptist gospel hymn, don't dismiss this one! Because of my Father, access was given to me. I am favored. I’m not intimidated, and I’m not a beggar. I have a right to, an audience in front of King Jesus. I was bought at a price, legally adopted, created in his image. 3. I can offer forgiveness. Yikes. I lost ya. Come back. I know, it’s not human instinct to forgive someone of such a wrong. But we are not called to live by our human instincts. Because we have access to supernatural grace, we are called to dish it out freely. We are not left alone and powerless, so we must not act like this one is beyond doing. We are empowered by the Holy Spirit to make it through any crisis. By the same measure, we must also utilize that empowerment to do the hard things- even when we don't want to. When God truly occupies a human heart, he has a way of softening and healing—until forgiveness is a natural overflow of such fullness. 4. I have control of what’s going on in my mind. Make no mistake. My marriage has been restored, but I could lose it all if I do not maintain consistency in managing my mind. This is an important one: My thoughts don't control me. I control them, and I must renew my mind day by day. Bad things happen. But I don't have to allow worrisome, tormenting, self-destructing thoughts camp out in my brain ad nauseam. We are not just advised to guard our minds, we are plainly told to do it. 5. I have the task of keeping myself whole. Our circumstances do not make us. How we react to them does. What if I profess to have faith in God but then crumbled at the first sign of tension, even if it was something big, like the heartbreak of a crumbled marriage? It would’ve seemed understandable if I crumbled and fell apart. But I knew that if I crumbled, I couldn’t live out God’s purposes for my life- which are so much more than staying in a marriage. The best Bible stories are the ones where the circumstances were the most precarious. Daniel got thrown into the Lions’ Den. Paul was imprisoned. Noah built an ark. Moses delivered an entire people group from slavery. Now imagine the same stories, only when friction was added, they caved. Daniel sheepishly backs away from the window and agrees to stop praying. Paul agrees to be muzzled from preaching Jesus and only speaks of him in hushed whispers. Noah was embarrassed because people were laughing at him, so he put the hammer away. And Moses kept his crazy notions to himself. The stories fizzle. It’s a good start, but nothing more. I want to be more than a good start. I realized I couldn’t fight the good fight of faith, or run the race set before me, if I allowed myself to wallow in despair over my broken marriage. I knew the enemy would have loved nothing more than for me to collapse into despair in that season of my life. Infidelity is a tender topic, and I dare not suggest which path any woman should take when answering the hard questions like to stay or go from a broken marriage. But regardless of that path, I believe our overall task is the same: Keep yourself whole so you can finish your race.